We had to return some library books this week and managed to be really good about not borrowing a giant pile of new ones until we read the books that we've bought but haven't read yet. Thanks to Faith McKay and Malia Haberman! This anthology includes a short story by Richelle Mead featuring Rose and Dimitri from Vampire Academy! Go Dark-Hunters! Make Lee go nuts over y'alls hotness! Hahaha! I do love this series and hope to get all of the books read this year. This one was the only book in the series that my local library didn't have- had to request it from a different branch. I still have an e-galley of Eve and Adam that I need to read. I was hearing mixed things about it, so kept setting it aside and reading other things instead. I hope both of you enjoy your books! I've seen mixed reviews for Eve and Adam, too, and am curious to see how Ally likes it. Eve & Adam sound really good. And I love the cover. :) Have fun reading the books you got. I really like the cover, too. Ally made a beeline for the book when she spotted it, lol. I'm on the fence about getting Eve & Adam. Our libraries are not good as yours (seriously). Happy reading! We are very lucky to have such a great library system; they're really good about acquiring new books. 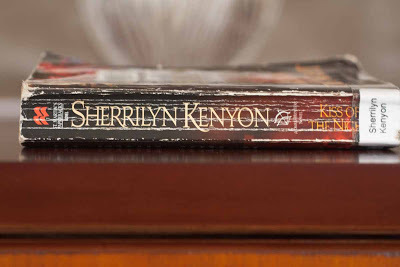 Sherrilyn Kenyon is amazing. I love her books. All your books look like they will be awesome. I love both the Dark-Hunter and Chronicles of Nick series. Nick's snarky comments really make me laugh. It's on my TBR list, too. I'll wait for Ally's thoughts on it before deciding whether to read it. I'm reading Eve & Adam at the moment, it's interesting but I do keep getting distracted by other titles. Happy reading. I hope the book works out for you. The more I hear about it, the more I'm leaning towards skipping it. It is a really cool cover. I hate it when a book has an amazing cover but the book itself isn't all that great. Eve and Adam looks good, and I have heard a lot about Kenyon. 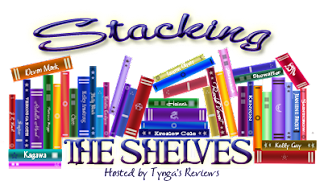 I started with Sherrilyn Kenyon's YA series and then checked out her adult books. I like how they tie in together. I really want to read Eve and Adam & I need to read book 2 in the Dark Hunter series :) I've read book 15 & book 1. (in that order) lol Awesome haul. And thanks for stopping by My Haul! I think I read on Sherrilyn Kenyon's website that you don't actually have to read the Dark-Hunter books in order. I ended up reading book 2 first, and it didn't matter. I have heard some mix things about Eve and Adam. Can't wait to see what you think of it. It's an interesting premise. I hope that the world-building is strong because that's usually my problem with dystopians- a world that doesn't make sense. 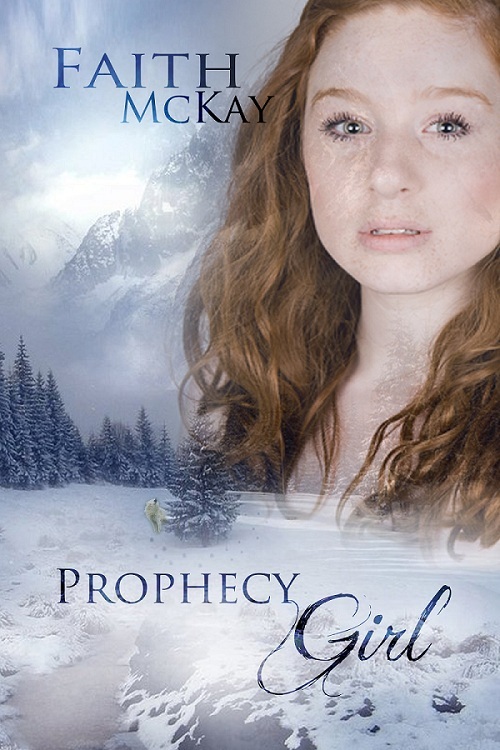 Oh I got Prophecy Girl a while ago too, but I haven't gotten around to it yet - can't wait to compare thoughts! 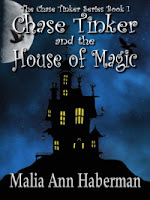 I've heard great things about Eve & Adam, I'll be curious to how you'll like it :) And the cover for Chase Tinker & the House of Magic is just lovely ♥ Enjoy ALL your goodies ladies! I've heard such mixed reviews about Adam & Eve. I hope you guys review it. I approach most dystopian novels with caution because I've read too many that stretched believability beyond a reasonable limit. I hope this one works out for Ally. Ally was looking forward to reading it, so I hope she enjoys it. Eve and Adam sounds really good! i prefer the US cover to the UK one which is slightly boring! Happy Reading! Check Out My New Books - Letterbox Love! I haven't seen the UK cover; I'm curious now and will have to check it out. Nice haul! 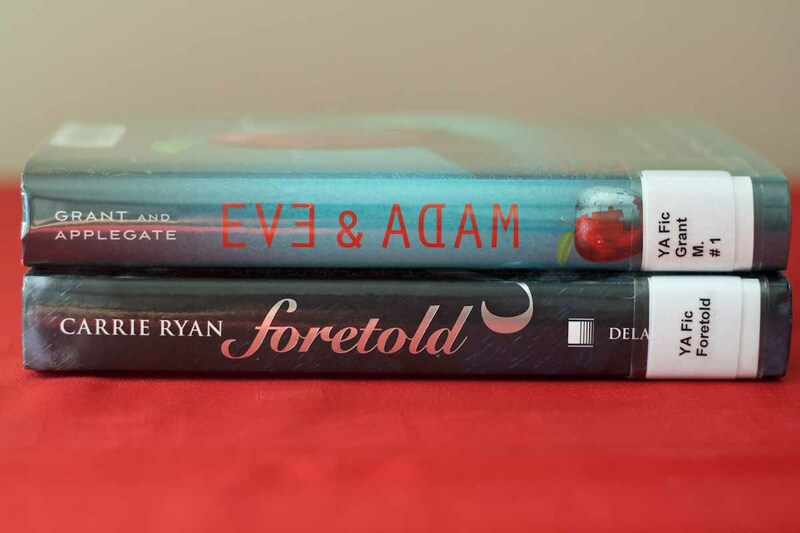 I have Eve and Adam on my TBR pile! I hope to read it soon. Enjoy your new books. Thanks for stopping by. I didn't know the library had it until I saw it in Ally's stack. They must have added it recently because it looks brand new. Great haul! I enjoyed the audiobook of Eve and Adam, though I know a lot of people feel the middle really drags! Glad to hear you enjoyed it! Opinions seem to be really mixed on this one. I've bought Foretold a couple of months ago, and still haven't read it! Look forward to your thoughts when you get to it, Ally. The Dark-Hunter series is hot, lol. I also like her YA Chronicles of Nick spin-off series, though when I read the first book, I did feel like I would have enjoyed it more if I'd read a few books from the adult series first. That's definitely the story I'd read first! I can never read enough stories about Rose and Dimitri. Still haven't decided about Eve & Adam. Look forward to your thoughts. Enjoy your books, and thanks for visiting! This isn't sounding like a book that I need to run out and read right away, but I'll keep it on my TBR list. I have my fingers crossed that I'm caught up on the series by then. Eve and Adam I didn't enjoy so much, but it had a good solid start. I want to read the next novel in the series though so that's a good sign. Kiss of Night is pretty good, although that copy looks like it's seen better days! haha. Usually my library system reinforces the paperbacks to help them hold up better, but obviously, this one escaped that treatment, lol.